Dinosaurs existed all over the world, with fossils having been found on every continent. Africa is no exception, but far fewer fossils have been discovered there from the late Cretaceous era—the period before the dinosaurs went extinct. One of the challenges of finding these fossils is that much of the rock that may contain specimens on the continent are not always exposed, often covered in vegetation. During the time of dinosaurs, Africa could have played an important role in the evolution of the animals by providing a link between South American and Eurasian dinosaurs. 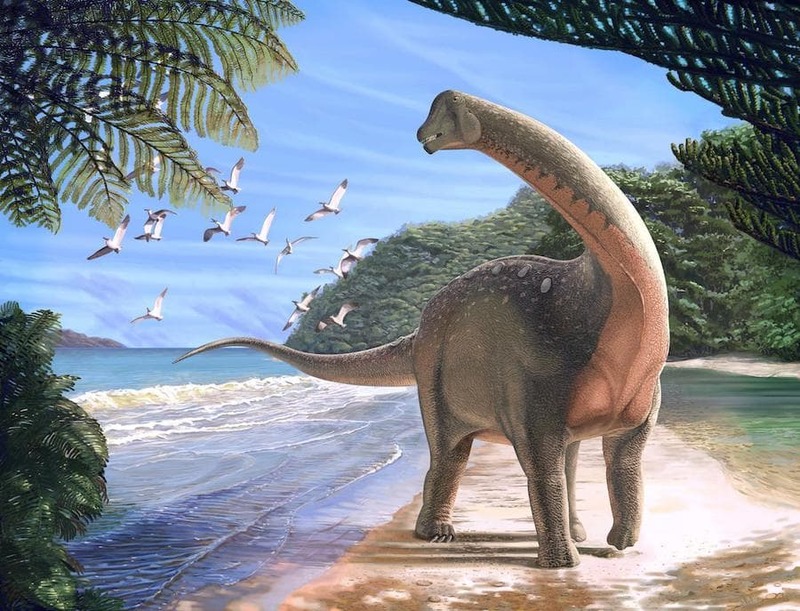 Scientists unearthed fossils in Egypt from a titanosaur, a group of large school bus-sized sauropods. They named it Mansourasaurus shaninae and their findings were published this week in a study in the journal Nature Ecology and Evolution. 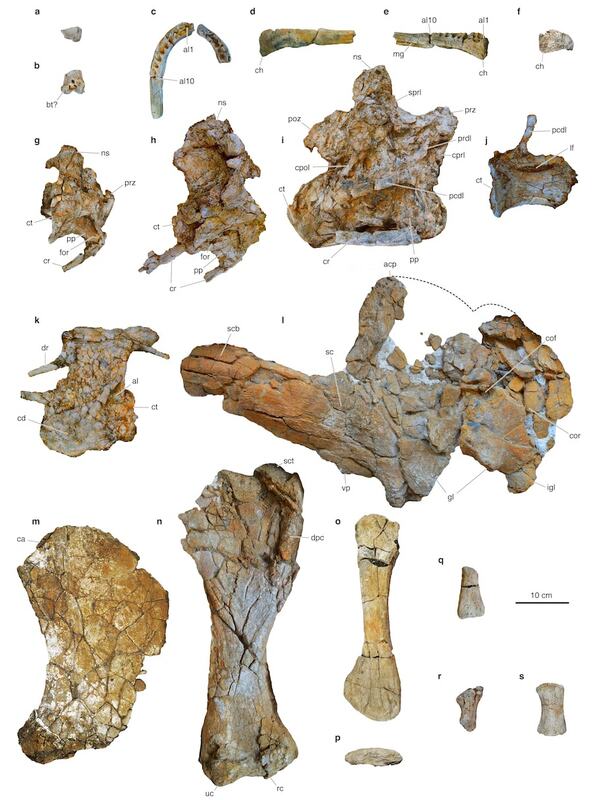 Paleontologist Eric Gorscak, who was an author on that study, talks about what this dinosaur reveals about the evolution of these sauropods, and the continents and landscapes themselves. Eric Gorscak is a Post Doc Research Scientist at The Field Museum in Chicago, Illinois. IRA FLATOW: This is Science Friday. Hi I’m Ira Flatow. A little later in the hour, a look at what data your apps might be sharing without you even knowing about it. But first, at one time dinosaurs ruled the planet. You know that. They existed on every corner of the world. Fossils of the animals have been found on every continent. And Africa is no exception. But the history of dinosaurs in Africa is a little bit hazy. It’s incomplete. And now a new discovery might help clear that up. A titanosaur, giant sauropod, has been uncovered in Egypt that dates back to the final dinosaur era about 60 to 100 million years ago, a rare find for that part of the world. The discovery was published this week in the journal Nature Ecology & Evolution. And my next guest is here to tell us what this missing puzzle piece tells us about dinosaurs in Africa. Eric Gorscak is author on that study. He’s also a post-doc researcher at the Field Museum, famous Field Museum in Chicago. Welcome. ERIC GORSCAK: Hello. Thanks for having me. IRA FLATOW: So this dino is from a group called titanosaur. I heard that he had sort of a bit of a Jay Leno chin. ERIC GORSCAK: Yeah. The new dinosaur Mansourasaurus belongs to the group titanosaurs and they’re very successful clade of dinosaurs during the last act of the age of dinosaurs in the Cretaceous period. And one of its defining features is its chin. It’s a very well-developed chin compared to other titanosaurs. IRA FLATOW: So what does this tell us about this dinosaur? What’s significant about this finding? ERIC GORSCAK: Yeah. So the last 20 million years or so of the Cretaceous, that last act of the age of dinosaurs, is pretty well known across the world like in North America, South America, Europe, Asia, and Madagascar. But when you look at mainland Africa it has been this giant question mark. There’s only been a handful of fossils found during this time. And they’re usually fragmentary and just provide a little bit of information. And we can just have a more general feel of what was there. But nothing more specific like what kind of species were there, who were they more closely related to. And so this new dinosaur Mansourasaurus has very informative skeleton. And we understand, at least partly, what was living on Africa during this time, and who it’s more closely related to. IRA FLATOW: Does it look like the other dinosaurs, the other titanosaur, the same size, things like that? ERIC GORSCAK: Yeah, generally the Gestalt is there. But for in terms of size for the body, it’s on the lower end of the titanosaur body range spectrum. It was definitely a small-to-medium sized titanosaur which, even to us, is still a large animal. It’s shoulder would probably be about the height to my head. And it’s neck and head just a couple of feet floating above that. IRA FLATOW: Do you have any, do we have an idea why? Why– oh, you’re back. We had a little bit of digital hit there. ERIC GORSCAK: What, no sorry. Go on with your question. IRA FLATOW: That’s OK. It’s like being on a cell phone and you drop out. That what we had there for a second. Let me rephrase my question. This dino lived during the late Cretaceous period, the last days of the dinos before they were wiped out. But fossils from this era in this part of Africa are pretty rare. Why? Why are they so hard to come by? ERIC GORSCAK: Right, that’s a great question. Part of it is, if you look at Africa, most of it’s covered in some sort of vegetation like grasslands, savannas, jungles, rainforests, and all that. So the amount of exposed rock for much of the continent is just obscured from trying to look for them. So that kind of leaves the deserts like the Sahara and some deserts down south. But when you look at the Sahara and trying to find these late Cretaceous deposits, there’s not much there. Or of what we do know about this time period, it hasn’t really produced those fossils that we need to be, that are informative. So those fossils that have been collected are few and far between. There are only like a few bones here and there. So, yeah, it’s just a matter of just going out and just finding more of those deposits, better characterization of them, more science to be done to understand those rocks as well as finding the fossils in those rocks that can tell us more about what was living there. IRA FLATOW: You know when I was looking, I was doing some research on this finding, I got involved in the whole, the continental movements, Pangaea. Isn’t that fascinating? I mean is that, is that how they got around? Why we find fossils of dinosaurs in different parts of the world because the continents were still butted together? ERIC GORSCAK: Correct. During the Mesozoic, the age of dinosaurs, the Triassic and Jurassic, the first and second acts, if you will, for the age of dinosaurs, you had Pangaea. This one landmass. And dinosaurs were all over. And they all looked similar to one another. But it wasn’t until the Cretaceous that the continents really started to take off and break apart from one. And one of the large questions is how’d this large-scale change in Earth’s history affect the different biotas on the different continents as they moved apart. And this has always been kind of a puzzle for paleontologists in especially the southern hemisphere. And but with recent decades of finding new fossils in South America, Madagascar, India, and Australia, we still have this question mark of Africa, the second largest continent, as well as being more or less in the middle of the previous Pangean super-continent. So there’s this giant chunk in the middle that’s still a question mark. And how does it connect the dots with the surrounding land masses with the different animals living on those land masses? IRA FLATOW: Our number 844-724-8255. I open the phones with my own peril because we get so many people who want to talk about dinosaurs. You can also tweet us at @scifri. How did you get involved in, were you fascinated by dinosaurs as a kid? Is that why you got involved? ERIC GORSCAK: Well that was also 30 years ago when I got really into dinosaurs at a very young age. But I was working at my doctorate, my PhD at Ohio University, where I started to do research on dinosaurs of the southern hemisphere and it became more focused on Africa and trying to fill in these gaps. And so the dinosaur group I mainly focused on was titanosaurian dinosaurs. And so working my advisor, they had several skeletons from Tanzania. And then it just kind of branched from there with different projects, with different colleagues. I started working with different titanosaurs from, like I said, Tanzania, Malawi Kenya, and now Egypt. So I just became this expert on titanosaurs from Africa. It was just knowing the people and just kind of got contacted. And the lead author, Hesham just showed me some pictures. And I was super excited when I saw those to just jump on board. IRA FLATOW: But you also were looking at fossils in Antarctica, right? Now a lot of people say, how does a dinosaur survive in that cold? But that Antarctica was on the equator at one point, wasn’t it? ERIC GORSCAK: A long, long time ago. But during the age of dinosaurs, it was slightly further north, but not too far from where it is now. But it was still connected to South America, Australia, and Indo-Madagascar was tucked in there along with Africa. So it was a completely different time in Earth’s history. And it is much warmer. So dinosaurs were already on there. But as time went on, we still need to figure out who was living on Antarctica. We still have fragments of bones of dinosaurs there. IRA FLATOW: And Antarctica, it’s a big continent. People don’t, they think of it, not as a continent, but there are mountains and things. And there’s land under there. What is it like to spot? How do you spot a dinosaur fossil under the ice or in the mountain? Does it just bubble up like the meteorites do? They just appear at the surface or you have to dig for them? ERIC GORSCAK: Not quite. They’re not going to be frozen in ice. So we have to look for areas that have exposed rock that’s underneath that ice or just are not covered in ice. So the project I’m involved in was focused on the peninsula of Antarctica which is the northernmost part of Antarctica and also has, more or less, less ice and snow. So there is more rock exposed. And so, me and several teams from across the United States and internationally, go there and look at the rocks and just see what’s eroding out. And just hopefully, with some luck, find some dinosaur bones. IRA FLATOW: That’s that part near South America? IRA FLATOW: They actually have flowers growing there in the summer. They have plants and stuff. I remember from my trip to Antarctica. So how does the Antarctic species play into this story of dinosaur or mammalian evolution? ERIC GORSCAK: Yeah, with the dinosaur evolution, of the fragments that we have, it’s somewhat of a perplexing problem. We have some dinosaurs that we typically find in the northern hemisphere. Like these Ankylosaurs, your armored dinosaurs, a tooth of a Hadrosaur, your duck-billed dinosaurs. And those dinosaurs are, they’re found somewhat all over the world but are mostly known from like northern hemisphere. 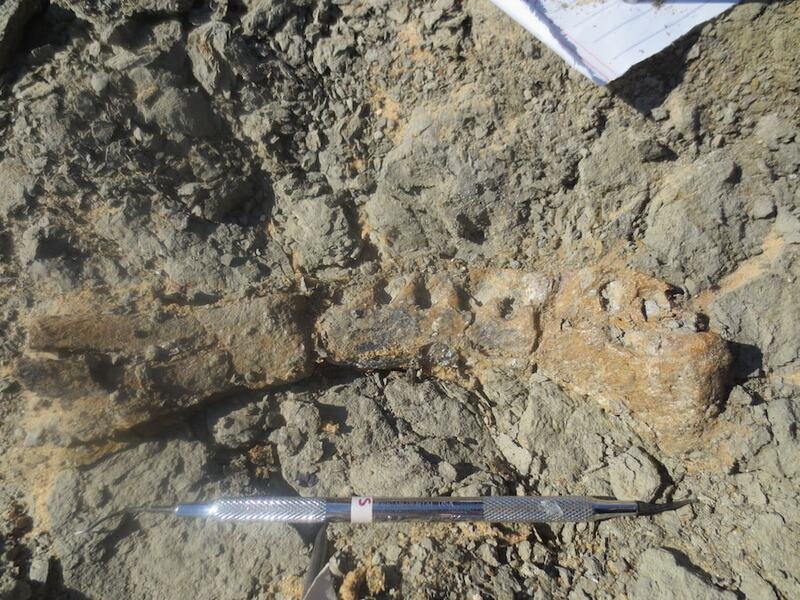 As well as a partial tailbone of a titanosaur was found on the peninsula. So we know we have a somewhat of a standard Gondwanan or southern hemisphere flavor of dinosaurs. But we also have a few oddballs making their way down there. IRA FLATOW: And they naturally just crossed. There was a land bridge, right? Things were connected. ERIC GORSCAK: Yeah, more or less. The southern tip of South America and the peninsula were still, more or less connected to each other. And Australia, like I said, was mostly attached to Antarctica as well. IRA FLATOW: Now you know a lot about dinosaurs. How much would you like to know about dinosaurs? How fuzzy is our picture? ERIC GORSCAK: It’s getting better. I can say that. I mean it’s always going to get better. More expeditions, more science, and more techniques are definitely opening up how we study dinosaurs in the past couple of decades. Computational methods have improved to do very large scale questions of like, how did they evolve, how fast did they evolve. As well they just have better imaging. CT scanning, making 3-D models. Really you can visualize the bones in a different way. You see inside the bones somewhat and then, kind of, yeah. And then you can share that data with other people across the world. But there’s still a lot more about what these dinosaurs are doing and how they did it biologically, physiologically. Yeah, it’s a fun field. IRA FLATOW: I have a fun tweet for you coming in. Can you tell us anything about titanosaur brains? And if you were a dinosaur, which one would you like to be? ERIC GORSCAK: Oh boy. Yeah, the thing about like titanosaur brains is that, they’re somewhat rare. Skulls are typically a rare thing to find for titanosaurs. And that’s mainly because their bones in their skulls are very fragile. So they’re not likely to preserve. So knowing much about the brains of titanosaurs is very limited to how many skulls we have of them. There’s only like a handful of known titanosauran skulls. IRA FLATOW: No let’s go with you. Let me talk about your owl. I got about a minute left. Why would you choose an owl? ERIC GORSCAK: They’re stealth predators. They’re nocturnal. I think barn owls look really cool. They’ve really neat things with their ears and sensory information to pick up things in the dark. I think it’s a really cool animal. IRA FLATOW: OK. Wow. Hoo. That is a great choice. We have an owl outside my house. I hear it every night. So I’m going to be thinking about you. Eric Gorscak, author of a study in Nature Ecology & Evolution. He’s a post-doc researcher at the Field Museum in Chicago. Thank you for taking time to be with us today. ERIC GORSCAK: Thank you for inviting me. When we come back, how all of your social media apps may be revealing more than you think. They may be keeping track of where you’re going, what you’re doing. Do you let them do that? Do you have any control whether you can let them do that or not? We’ll talk about all those issues about privacy. And what you give away, what you think you give away, and what you may be giving away. We’ll be right back after the break. Stay with us.